Elite Eye Serum, a revolutionary, topical anti-aging serum created by Miami based cosmeceutical company SkinPro, contains a powerful anti-aging peptide known as Eyeliss. Eyeliss is created by Sederma, a company founded in 1964, known for their creation and development of active ingredients in the cosmetic industry. Eyeliss is an industry leader in the treatment of under eye puffiness. Under eye puffiness, also referred to as under eye bags, is a condition that plagues millions of people. Scientifically, under eye bags are actually caused by accumulation of fluid beneath the eye lid. The skin under the eye is some of the thinnest skin on the human body and therefore easily shows signs of wear and tear. Often times, under eye puffiness can be contributed to lack of sleep or late nights, but it is also caused by environmental factors such as a high sodium diet, allergies or sleep position. If under eye puffiness is related to an environmental reason, there are proactive measures that can be taken to ward off the fluid build-up. There are many ways to treat under eye puffiness, with routine changes, such as changing sleep positions, taking an over the counter anti-histamine, and reducing sodium intake, if in fact the cause of under eye puffiness is related to an environmental issue. In order to resolve this pesky issue on a long term basis however, a therapeutic solution must be used. An eye serum containing Eyeliss will work to reduce under eye puffiness. SkinPro, who has world class research partners like Lipotec, Sederma, Centerchem, Pentapharm and Lucas Meyer Cosmetics, spent 3 years reviewing clinical test results to determine which ingredient would best suit their flagship product. SkinPro decided that based on the results of the clinical studies, Eyeliss would be the best choice for reducing under eye puffiness. The results of the Eyeliss clinical study show that under eye puffiness is reduced by up to 70% upon application. Eyeliss is a proprietary combination of three active peptide molecules which are designed to rapidly and effectively reduce puffiness and bag volume under the eyes. The first of the three peptides is Hesperidin methyl chalcone. This peptide acts to decrease the capillary permeability of the sensitive skin of the lower eyelid. This newly discovered molecule works fast to prime the delicate skin under the eyes for lymphatic drainage and toning. The second of the three peptides, Dipeptide Valyl-Tryptophane, is a peptide whose purpose is to increase lymphatic circulation leading to drainage. This peptide is most responsible for safely draining the fluid out of the puffy eye bags, as the fluid is what is responsible for the puffy eyes. The third peptide, Lipopeptide Pal-GQPR, acts quickly to improve skin firmness and elasticity, whereby removing fine lines and wrinkles on the sensitive lower eyelid skin. Furthermore, this peptide actively decreases the inflammatory phenomena commonly caused by other lymphatic drainage agents. This bio-molecular engineered solution was discovered as a result of sensory perception screening tests which were specifically designed to treat puffiness under the eyes. Consumers have been raving about this blend of peptides used in the Elite Serum formula. The cooling, tingling effect that Elite Serum has on the skin is an indicator that the serum has gone to work, increasing the lymphatic drainage under the eyes. Gale, a new customer from England, who suffers from dark circles and puffiness has been impressed with her results so far, having used the product for a mere 4 days. She shares with readers her Before and After pictures are the results are astounding. She goes on to say, “You can see just after 4 days of using Elite Serum how much improved they are!” Gale’s full demonstration can be viewed on Elite Serum’s YouTube page. Elite Serum doesn’t just focus on reducing under eye puffiness though. SkinPro’s vision was to create a revolutionary product that would treat all of the common eye related issues with one topical treatment. They achieved this with the blend of Argireline, Haloxyl, Matrixy3000, Eyeliss, SYN-COLL and SNAP-8. Elite Serum not only works to reduce under eye puffiness but also works to reduce the appearance of dark circles and fine lines and wrinkles. Learn more about Elite’s Serum’s award winning formula and view results of clinical studies on their web page. The process of aging is one that cannot be avoided. Not everyone shows signs of aging at the same rate, but at some point in one’s life, the tall tell signs of aging will begin to show. It starts with a few fine lines around the eyes and maybe a few around the lips. In more progressive stages of aging, deep wrinkles can begin to form. While the aging process cannot be stopped, it can certainly be slowed with the right products that contain the proper anti aging ingredients. Elite Eye Serum, created by Miami based cosmeceutical company SkinPro, is a topical anti aging serum that works to reduce the appearance of fine lines, wrinkles, dark under eye circles and under eye puffiness. It contains a proprietary blend of pharmaceutical grade anti-aging peptides. Perhaps the most notable peptide on the ingredient list is Acetyl Hexapeptide 3, more commonly referred to as Argireline. Argireline has been around for years, but it suddenly became a household name when the popular and well respected Dr. Oz recently praised this ingredient on his show. In the particular episode in which Dr. Oz makes viewers aware of this holy grail of an ingredient, he made an example of a guest named Diana. He polled viewers, asking them to guess Diana’s age. Viewers guessed her age to be 53 and the room went silent when Dr. Oz revealed that she was only 44. Diana disclosed to Dr. Oz that she felt the appearance of her eyes, primarily the fine lines and few wrinkles that had started to form, made her look older than she really is. Diana’s life changed drastically when Dr. Oz recommended an ingredient called Argireline. Argireline is a needle free ingredient used in the best skin creams and serums. It’s an anti-aging peptide that is said to provide the results of Botox without the pain, needles and cost associated with Botox. It works by interfering with muscle contractions and blocking nerve receptors. The process of Argireline is far more natural than Botox injections. Skin care experts suggest an eye serum should contain a concentration of 5-10% in order to be effective. Elite Eye Serum is well known for pioneering the use of Argireline and other laboratory-tested ingredients. SkinPro has been educating consumers about Argireline and its anti-aging effects since 2009. “Our researchers spent over 3 years creating our flagship product. Based on the tests and studies conducted, we opted for the use of Argireline due to its potency and effectiveness. We’ve used Argireline in several of our anti wrinkle products,” stated Skin Pro CTO Richard Banks. “Our laboratory has been at the forefront of blending peptides together to make the best skin rejuvenation creams and daily maintenance products for healthier skin. We owe a lot of our success to the makers of Argireline as it’s been a lynchpin in many of our formulas that help our customers look younger,” added Banks. Elite Eye Serum customers have been ecstatic with the results they have achieved. Banks adds, “We recently asked our customers to send in Before and After photos as well as testimonials and the response we received was overwhelming. Our customers love the serum and the results it has provided them with.” One customer, Susanne, has developed fine lines around her eyes over the last few years. She’s tried almost every product on the market but none of them have given her any significant results, until she found Elite Serum. Consumer reviews can be found on Elite Serum’s YouTube page. NEW YORK, NY, Oct 01, 2012 (MARKETWIRE via COMTEX) — SkinPro, makers of Elite Serum, believes that in a world of celebrity endorsed products, diet fads, and more wrinkle creams than we can count, it’s evident now more than ever, that consumers really are interested in taking care of themselves to improve their appearance, making them feel fresh, rejuvenated and younger. Even men are finally succumbing and are taking an interest in their overall look and feel, beyond the typical pumping iron and protein shakes. The New York Times recently published an article titled “Skin Creams Capture the Eyes of Men.” Splashed across the front of the article is Lieutenant Del Grande, who works 2 grueling 24 hour shifts per week at the Bellville Fire Department. Del Grande confesses that he suffers from dark circles under the eyes and looks tired all the time. Dark circles are looming everywhere. Take notice next time you are out. The college student sitting next to you at Starbucks, sipping a triple shot of espresso and keeping his eyes propped open with toothpicks in an attempt to meet the deadline for his chemistry thesis. The mother of 3 in front of you at the checkout of the grocery store, a cart full of groceries, 3 screaming kids in tow and no doubt endless laundry awaiting her at home. She’s disheveled and she looks like she hasn’t slept in weeks. Even your accountant looks worn and tired; dark blue and purple pockets of skin underneath his eyes. He may survive tax season, but his under eye bags are another story. SkinPro, makers of Elite Serum, realize exactly how big of an epidemic dark circles really are. Their scientists spent over 3 years in the lab, formulating their flagship product, specifically to treat dark under eye circles. Using a powerful ingredient called Haloxyl, combined with 6 other industry leading anti-aging peptides, SkinPro introduced Elite Serum to the cosmeceutical market in 2009 and has been taking the industry by storm ever since; most recently expanding sales on a global level. Elite Serum is packaged in an airless syringe, which mocks a Botox injection; however, Elite Serum is a topical solution that is needle-free and painless. It retails for $89.95 for a 45 day supply and is available on its website. FORT LAUDERDALE, FL–(Marketwire -08/13/12)- SkinPro, the makers of award-winning cosmeceuticals, have reported to iPopularity this morning that they have received a notice informing them that the importation and registration of Elite Serum has been officially blocked in China. While Chinese health officials have declined to comment on this matter, persons with information related to the documentation filing have stated that Elite Serum was deemed simply “too strong” to be classified as an OTC cosmetic product and can only be available by prescription in China. This is due to the extremely high concentration of the patented wrinkle fighting peptides, Argireline and Matrixyl 3000. Richard Banks, spokesperson for SkinPro, stated, “after performing all the required due diligence with our prospective distribution partner in China, it was determined that the Chinese officials have classified Elite Serum as a ‘drug. '” Manufactured under FDA registration number 3002692859 in the United States, Elite Serum is considered by industry observers to be the first real alternative to botulinum toxin injections. These popular procedures are designed to fill in wrinkles and fine lines around the eyes and are administered by plastic surgeons in thousands of locations worldwide. These injections are more popularly known by their brand names, as Botox, Restylane and Juvederm. Due to the high cost, and most importantly the safety concerns surrounding these procedures, SkinPro set out to develop a topical alternative that maintained the same properties as their injectable counterparts. The only difference was that Elite Serum did not require an injection and it can be administered by the user like any other eye serum or eye cream product. So far, despite lobbying by plastic surgery associations and the mega pharmaceutical conglomerates, the public’s response to Elite Serum has been nothing short of extraordinary. iPopularity follows the hottest trending topics on the internet. Elite Serum has been on the radar since January of this year. This surge in popularity follows a program by Dr. Oz where he recommended use of an eye treatment with Argireline as a legitimate alternative to Botox. Given that Elite Serum contains such an overwhelming amount of Argireline and other wrinkle fighting peptides, the public was immediately attracted towards this product and have been expressing their interest and satisfaction in various social media outlets throughout the internet. For instance, the Facebook page for Elite Serum currently has over 45,000 ‘likes.’ This is a measurement of trend strength that iPopularity closely follows and this shows the overwhelming public embracement of Elite Serum. While the importation of Elite Serum to China is now officially banned due to the high concentration of pharmaceutical grade actives, Richard Banks has informed iPopularity that the company has had tremendous success throughout South East Asia, particularly in Singapore, Malaysia and the Philippines. The formula is well received and local licensing deals are underway with significant and well funded medical distribution partners. Accordingly, SkinPro expects to release this information during an upcoming investor presentation planned for this fall at their South Florida headquarters. Be sure to keep following iPopularity to find out what is trending now on the internet. Many of our loyal Skin Pro customers have been enjoying the 28 skin products we’re launching this Summer under the brand name of Delfogo Cosmetics Co. for many months. While the world-class products are completely done and starting to go to our International distribution channels, we’re still putting final touches on our official Delfogo website. While this takes place, the eight marquee products are available, but not being marketed, in our beta shopping cart. The website and order platform we’re making for Delfogo will be like none other. The products are coded in several groups with unique color schemes that identify them with the class of products we’re offering. For example, our mens line is color coded in black. This line of products is so complete, we even have a line of skin treatments for sensitive skin. While we’re very happy to be on track for a Summer launch, we’re also pleased to release this sneak peak of the brand’s entire suite of products. MIAMI, FL–(Marketwire -08/02/12)- Ipopularity tracks the hottest trends on the web. Alarms went off when researchers ran into a blazing hot skin care brand. 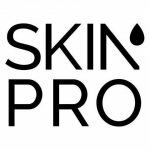 Skin Pro International, Inc.’s flagship product, continues to garner rave reviews in a competitive anti aging product market. Elite Serum’s eye-catching airless syringe has been winning over customers since re-launching with an enhanced formula and precision dispensing system. A recent request to customers of Elite Serum to send in their reviews in exchange for free product was met with instant success. The South Florida-based skin care company recently posted an update on their corporate website asking customers for their feedback. Many customers have already sent in videos of themselves using Elite Serum while talking about their experience with the popular skin rejuvenation product that focuses on alleviating dark under eye circles, bags, puffiness, and even eye wrinkles. The customer testimonials can be seen on the Elite Serum YouTube channel. “We were thrilled with the success of the promotion. We heard from customers of all backgrounds and were happy we got to know them better. Teachers, students, even models and actresses, we were happy to find out that our customer base is even more diverse than we originally anticipated,” company spokesman Richard Banks noted. One classic example is model & actress Deborah Funes, a Latin beauty born in Argentina. Funes has been the exclusive lingerie model for an Italian clothing line as well as appeared in numerous motion pictures and continues to thrive in the entertainment industry. In her testimonial, Funes raved “I look younger” after using Elite Serum in preparation for castings in a competitive Miami modeling market. “What started as a test project to hear from our customers ended up showing us that not even celebrities are above using anti aging skin care products. The diversity of our customer base really taught us that everyone seems to be more proactive in taking care of their skin,” Banks added. Skin Pro has had a busy second quarter. The company announced that its most complete skin care brand, Delfogo Cosmetics Co, is slated to launch in the third quarter. The 28 products are divided in many categories and are suitable for use by all skin types. The privately-held company currently fills orders for its “Marquee” line of anti aging products, and the entire line will be available on September 1. Now available at DERMSTORE — Elite Serum! Following a rigorous evaluation of our anti-aging flagship product, Elite Serum, we are pleased to announce that it is now being sold by the leading online skin care store, DERMSTORE. DERMSTORE was launched in 1999 by a board-certified dermatologist and has since grown into the leading retailer of only the finest cosmetic dermatology products. It is known in the industry as a safe haven where the most discerning skin care customers can purchase with complete confidence. Elite Serum is now available for even FASTER delivery in Europe. 26 nations are covered by our new FBA agreement (Fulfillment by Amazon) with Amazon.co.uk. If you are a customer residing in the below countries, you now have the option of ordering through Amazon.com. You’ll get free shipping and lightning fast delivery throughout the EU. Of course, you can still order on the website, http://www.EliteSerum.com. If you do order on the website, you will earn Skin Pro points (10% cash back towards future purchases) as well as be eligible for any promotional Elite Serum coupon codes. Whatever you decide to choose, you’ll still get the same great Elite Serum! Many people ask about the safety of using a cosmeceutical skin care treatment. The fact is, 99.9% of skin types will respond very well to a cosmeceutical-infused skin product. However, if you are apprehensive to using such a potent skin cream, we have many suggestions to help you help your skin type adapt to our formulas. Email customer service and one of our skin care consultants will help answer any questions you have prior to ordering. While the cosmetics industry is not a regulated industry, ALL manufacturers that reside in the USA are subject to routine inspection, audits, and continued training in order to remain certified and in good standing. Furthermore, the State Health boards must give their stamp of approval to all facilities as well as members of the company whom operate machinery and handle materials. Continued training and certifications are all part of the process in the USA. Many of our ingredients are imported from France & Switzerland, and formulated in one of our South Florida laboratories. Accordingly, there is a head pharmacist involved in all aspects of the operation. From importing raw cosmeceutical ingredients to ensuring the proper percentages of each ingredient are mixed appropriately, this entire process is one of extreme importance. Any imported (made outside the USA) skin cream does not have this rigorous quality assurance testing. We know this from experience, as our parent company, Skin Pro International, has been manufacturing other brands of skin & wellness products in other countries for years. Other than presenting ingredients to the FDA to look for banned substances, there is no testing or regular lab visits in any operation that makes skin products outside of the USA’s borders. Unless otherwise noted and labeled on the product, all SkinPro products can be rendered for use on all skin types and sexes.